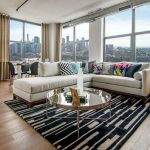 A one-of-a-kind Villa residence atop The Oakman in downtown Jersey City has hit the market with an unrivaled offering of indoor/outdoor living and entertaining space including a private split-level terrace and heated pool. 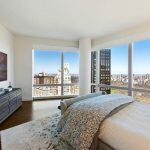 The full-floor, four-bedroom, 4 ½-bath residence also features panoramic views of the Manhattan skyline and is served by the boutique condominium building’s full suite of amenities and services. A keyed elevator ascends to the Villa’s impressive living space that stretches across 3,369 square feet. 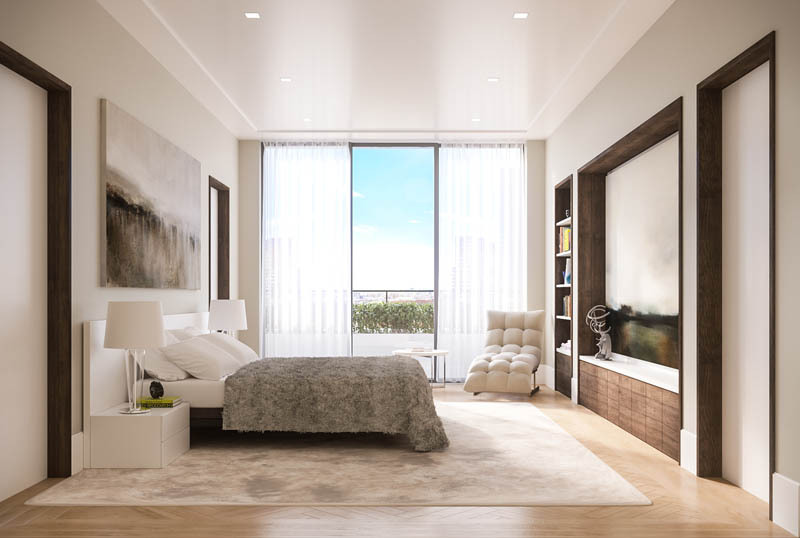 Impeccably designed by acclaimed architects, Fogerty Finger, and meticulously crafted of the finest materials, the home features European oak floors with radiant heating and custom Italian-made finishes and appointments. 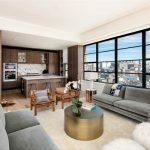 The expansive entertaining area extends outdoors, where more than 2,200 square feet of private terrace and rooftop space with a pool, fireplace and seating area awaits — all set against the spectacular backdrop of the New York City skyline. Bathed in natural light though full-height windows, the Villa’s open floor plan features a gracious living room, kitchen and dining area that opens out onto the outdoor terrace. 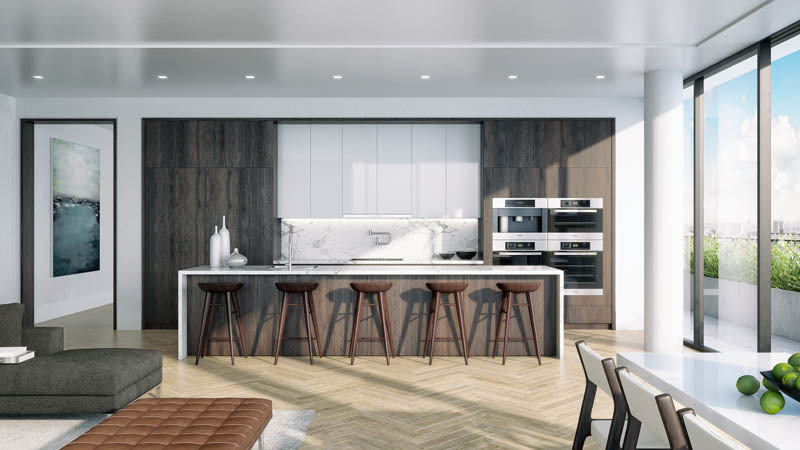 The chef’s kitchen is furnished with custom-designed cabinetry and a marble island, countertop and backsplash. Stainless steel Miele appliances include a whole bean coffee system, dual convention ovens, a 24” speed oven, flush-mounted cooktop, dual warming drawers, and a wine storage system. 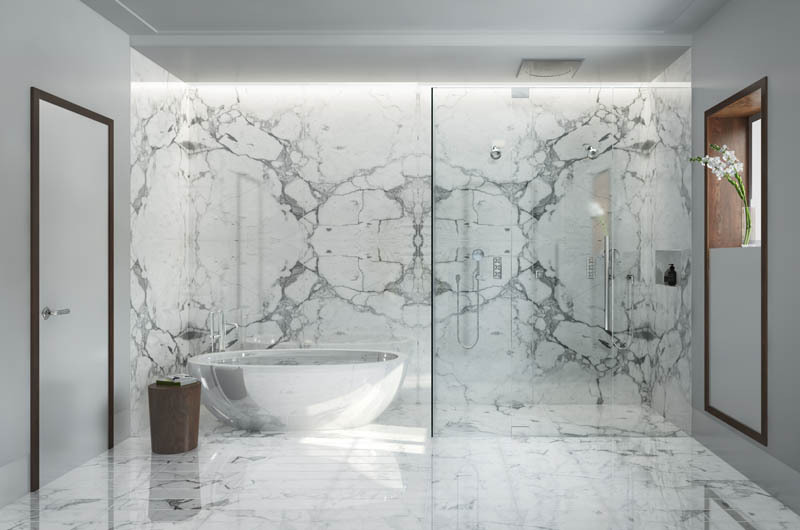 The Villa’s four bedroom suites each offer a full en suite bathroom with European granite and marble, custom-designed vanities and Lefroy Brooks fixtures. The lavish master bath boasts a dual sink, free standing tub and five-fixture shower. A laundry room with washer and dryer hookups and a powder room are also available. 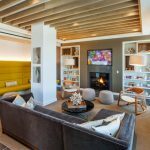 Offering the latest “smart home” technology, the Villa is built with a sophisticated Crestron system that can be operated both inside and outside the home via a touch panel, computer or smart phone. 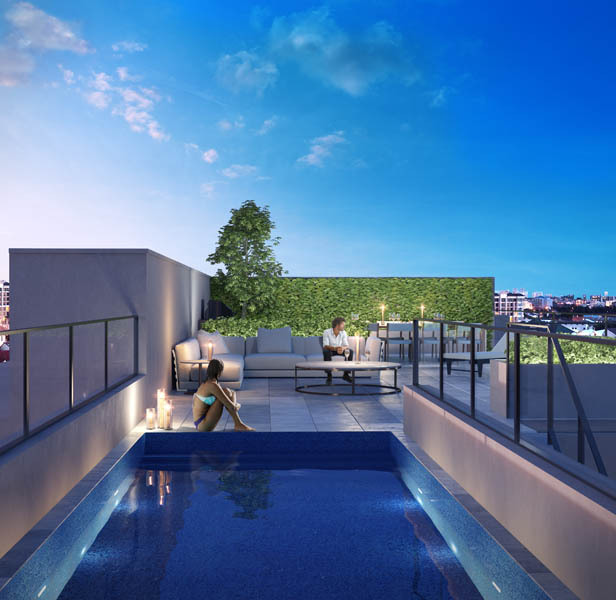 The release of the Villa residence follows a successful period of sales activity at The Oakman, which offers 159 luxury condominium residences. 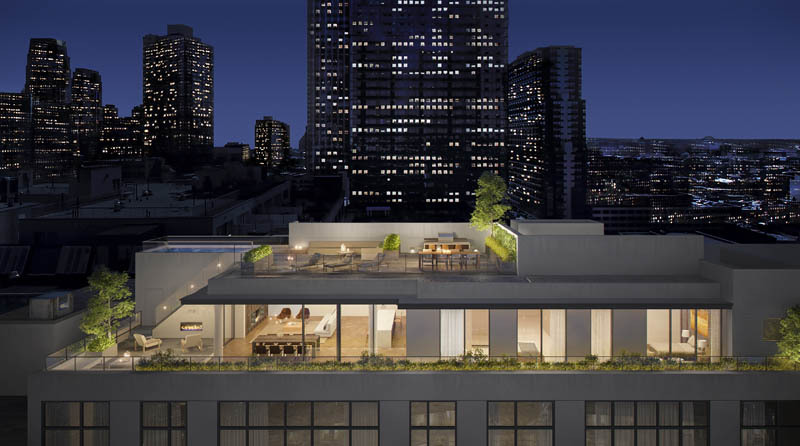 The Oakman’s 14-story, industrial-inspired design respects the fabric of the Powerhouse Arts District while providing a decidedly more intimate, boutique setting when compared with the monolithic towers that dot the city’s landscape. 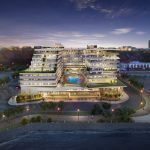 The full-service building provides a 24-hour concierge, fully-equipped fitness center, residents’ lounge, library, business center, sky lit children’s playroom and an onsite parking garage with electric vehicle charging station. 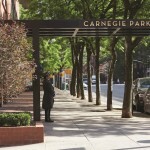 The Oakman is located at 160 First Street amidst the artist-inspired neighborhood’s boutiques, galleries, restaurants and convenient public transportation to Manhattan. 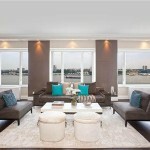 The building is situated minutes from downtown Manhattan via PATH trains and NY Waterway ferries. The Hudson Bergen Light Rail system offers rail service up and down the waterfront and into bordering neighborhoods. For more information, call (201)-860-9800 or visit www.theoakmanJC.com.